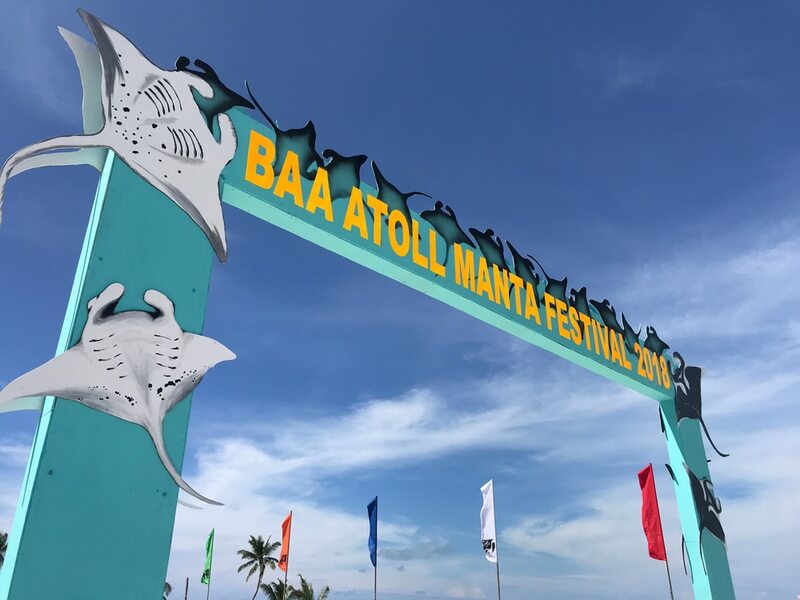 The first ever Baa Atoll Manta Festival took place on Saturday 24 November 2018 on B. Dharavandhoo, located in the Baa Atoll Biosphere Reserve, and was a great success. Marine-themed stalls, competitions, performances, snorkeling sessions and academic presentations were enjoyed by around 1000 visitors, including 11 local schools. Guest of honour, former president Mr Mohamed Nasheed (Anni) gave a thought provoking speech on the importance of the UNESCO Biosphere Reserve Baa Atoll and sustainable development in the Maldives and enjoyed visiting the stalls. During the inspirational opening ceremony speeches were also given by the current Environment Minister Dr Hussain Rasheed Hassan, Managing Director of the Baa Atoll Conservation Fund, Mr Abdulla Shibau, the President of the Baa Atoll Council, Mr Mabrook Naseer, and Vice President of Baa Atoll Dharavandhoo Council Mr Ali Shafeeg. Twenty-two marine-themed stalls included creative and fun games designed to educate students about manta rays and marine issues such as turtle poaching, by-catch and plastic pollution, including 5 from local schools. Seven environmental organisations – Manta Trust, Baa Atoll Biosphere Reserve, Environmental Protection Agency, Olive Ridley Project, Atoll Marine Centre, Parley and Four Seasons Marine Savers participated, showcasing their important marine conservation work around the Maldives and how students can get involved in safeguarding their environment. Over 200 students took part in a stall treasure hunt, filling a stamp book with stamps from every stall after learning something new and then printing their own recycled, reusable bags with marine creatures and messages. Students and visitors learnt about manta rays, coral reefs and environmental protection in motivational presentations from environmental organisations and guest speaker Zoona Naseem, the first female Maldivian PADI Course Director and an avid diver. Zoona’s talk reflected the inspirational message of the event, to get more females into water-based activities across the Maldives. Photography, art and sculpture competitions were entered by over 100 people. Winners were invited to receive their prizes from Mr Nasheed on stage, which included manta snorkeling field trips and luxury dive products donated by the sponsors. 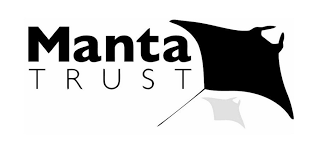 Seven schools created their own life-size manta ray sculptures from recycled materials, based on real manta rays from the Manta Trust research database. Visitors engaged in a treasure hunt to find all the different manta rays and learn something new about their unique characteristics. 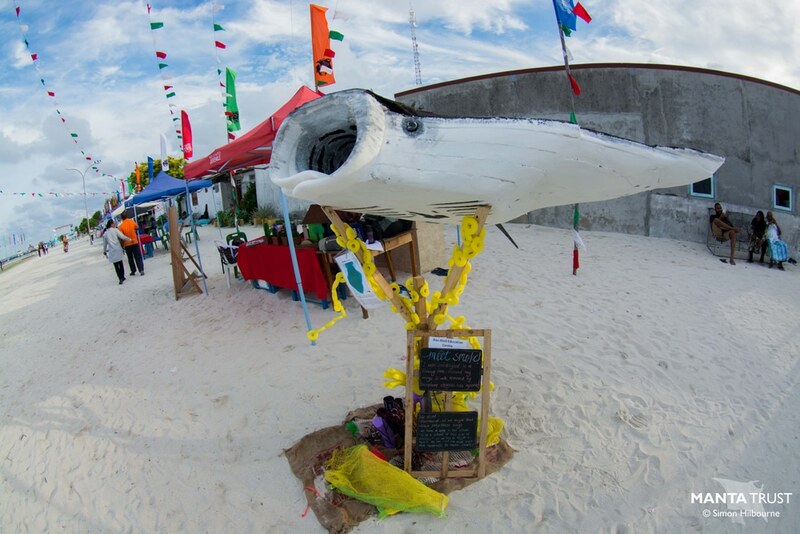 Kendhoo School won the sculpture competition with an impressive 16 x 13ft sculpture of the spottiest manta in the Maldives – Mr Spotty. As the sun set on the picturesque event, 200 students came together to create a huge manta ray on the beach. The event culminated in evening performances from local artist Shiuz, sponsored by Aveyla Maldives, as well as Dharavandhoo Boduberu band, enjoyed by many community members with dancing and singing as well as Mr Nasheed and his delegates. 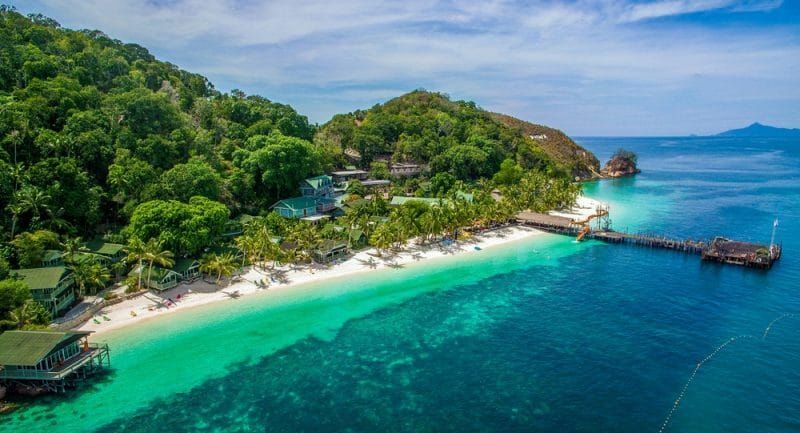 The festival was sponsored by 12 luxury tourist resorts in Baa Atoll – Four Seasons, Vakkaru, Coco Palm, Kihaa Maldives, Anantara Kihavah, Royal Island, Milaidhoo, Reethi Beach, Finolhu, Amilla Fushi, Dusit Thani and Soneva Fushi, as well as Manta Reisen, Baa Atoll Biosphere Reserve and Baa Atoll Conservation Fund – with additional support given by local guesthouses and dive centres. As part of the festival initiative, these sponsors donated 222 sets of Cressi snorkeling equipment to 14 schools in Baa and Raa, also providing snorkeling lessons for over 100 students. 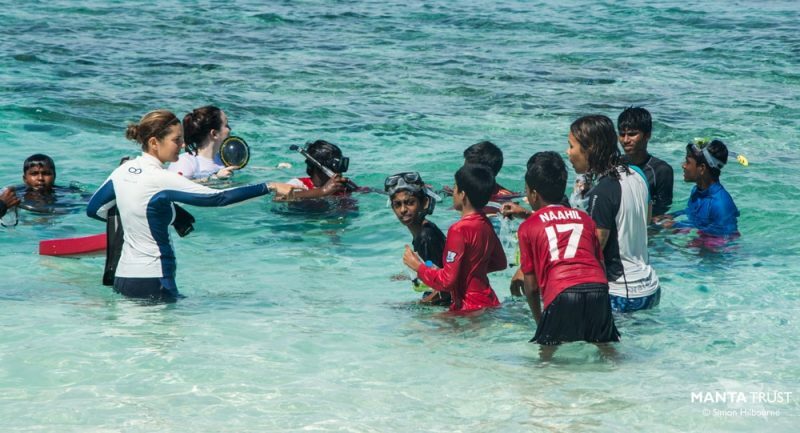 Snorkeling lessons continued at the festival, with over 200 student participants witnessing the beauty of the Dharavandhoo reef, many for the very first time. Equipment was provided by Four Seasons and generous snorkeling guide support provided by the resort sponsors and Manta Trust. 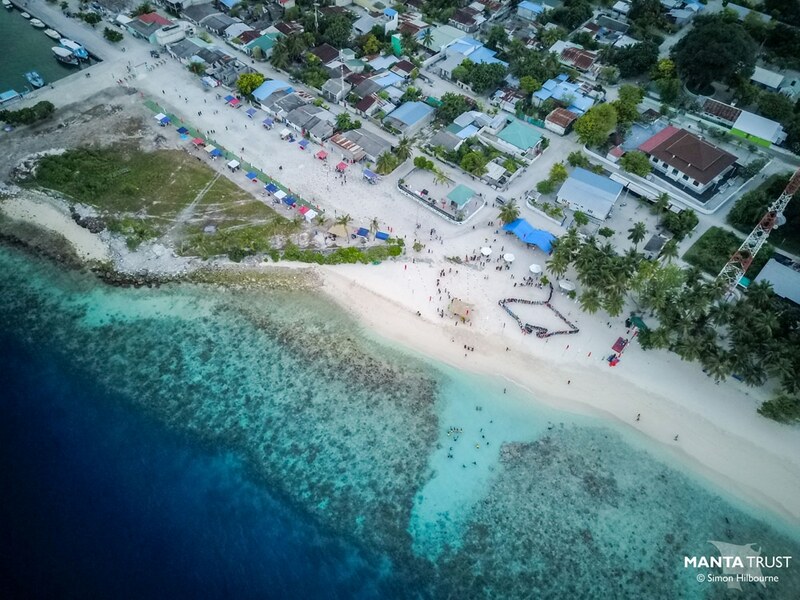 Festival organisers and Mr Nasheed’s team were especially heartened to witness female Maldivians engaging with the ocean due to this initiative.